Home › Uncategorized › Was the Lord of Sipán White? One of the most important archeological discoveries in South America in the past 30 years was made in the northern coastal region of Peru at the site of Huaca Rajada, shown below. The site consists of two large pyramids, on the right below, and a smaller platform, on the left. 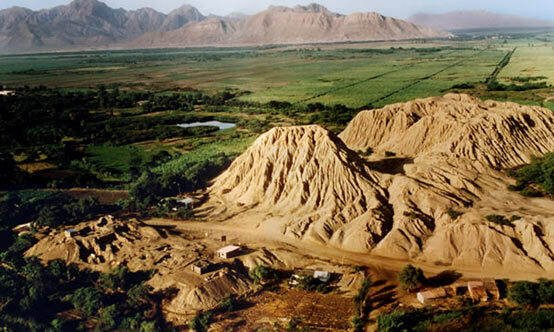 These structures were made from adobe bricks, and they have been heavily eroded by centuries of rains, mostly brought to the otherwise dry coast of Peru by recurrent El Niño events. 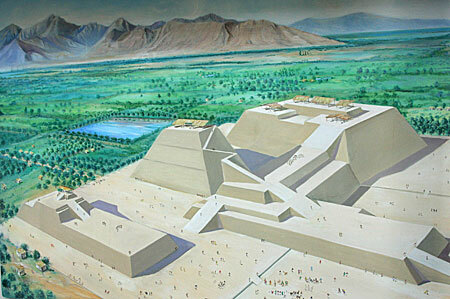 Below is a drawing of what the site originally looked like, before the centuries of erosion. In 1987 police learned that looters were removing gold artifacts from the site, and they alerted archeologists who then took control of the area. Within the platform the archeologists discovered the richest tomb ever found in the Americas, shown below. 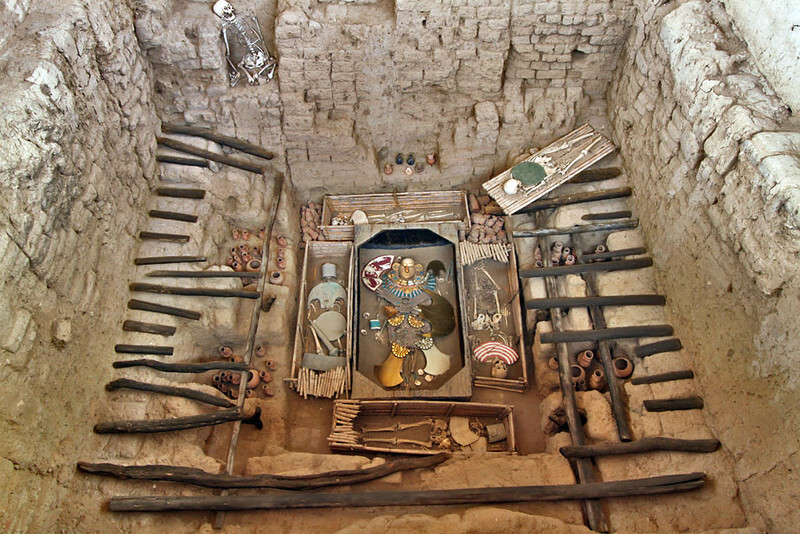 In the center is the wooden sarcophagus of a ruler of the Moche culture (100 AD to 800 AD), now known as the Lord of Sipán. He lived around 250 AD, and was 35–45 years old when he died. He was around 1.63 meters (5 feet 4 inches) tall. He was buried with three women, four men, a boy, two llamas, and a dog. 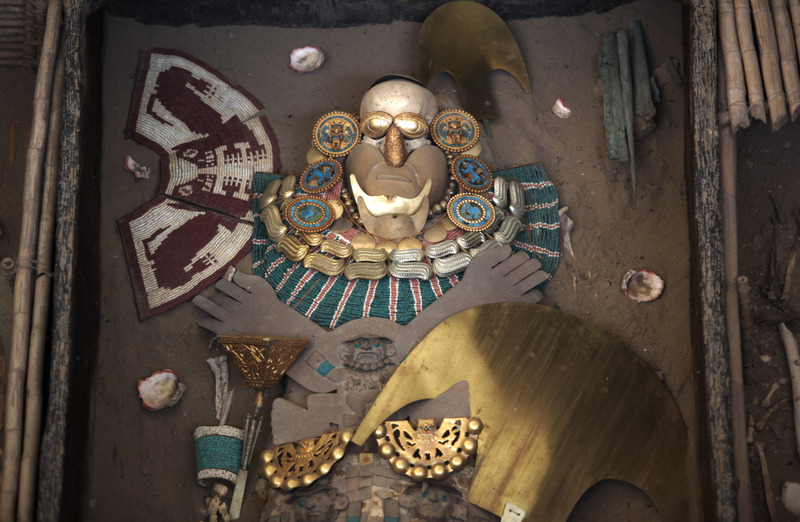 Below is a close-up of some of the regalia that the Lord of Sipán was buried with. Archeological research and DNA testing enabled deducing certain physical characteristics of the ruler, such as skin color, the form of his lips, hair, eyes and other facial features. It was also possible to provide an accurate estimate of his age at death, allowing for a more accurate facial reconstruction by researchers. And yet no mention is made of the actual results of this DNA testing. No references are given in the section, and I have been unable to find any sources for the section’s information online. 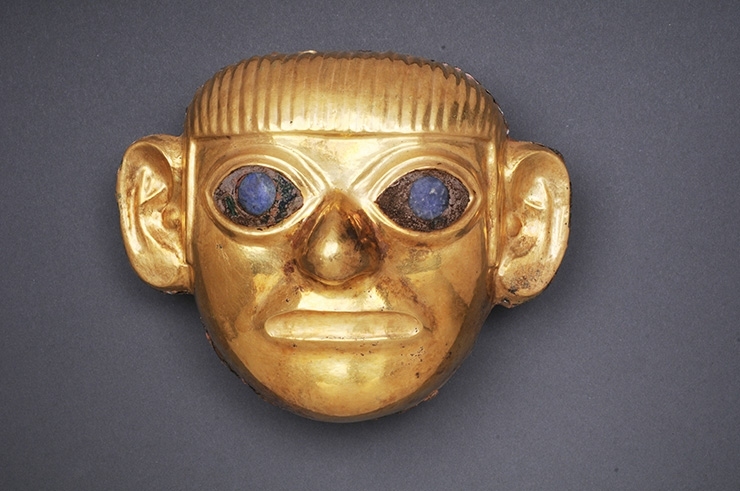 The gold mask found in the Lord of Sipán’s tomb shown below suggests that he might have had blue eyes. The Spanish, Russian, and Ukrainian Wikipedia articles on the Lord of Sipán further state that he was found to be Rh negative. 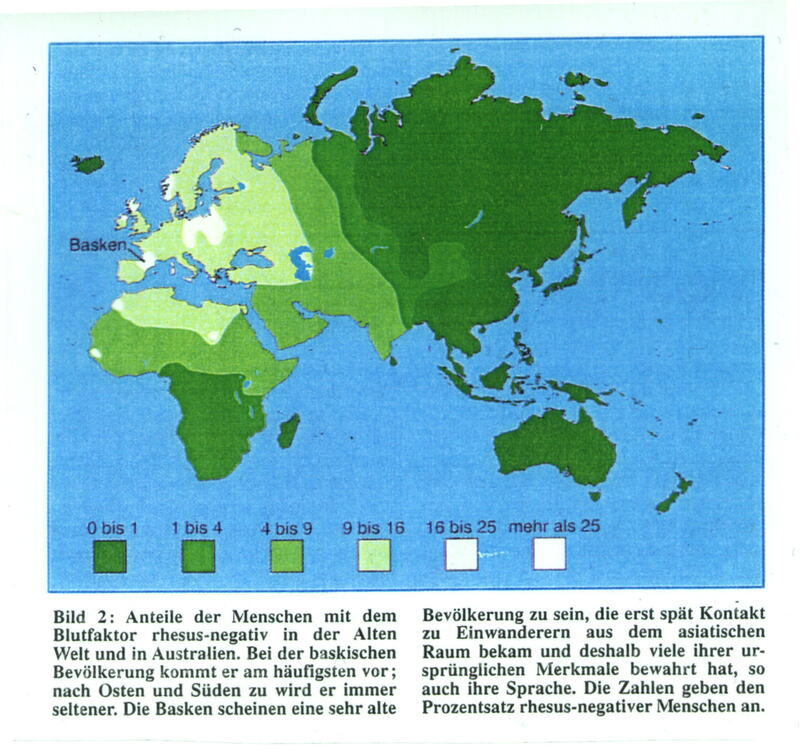 As the map below shows, the frequency of the Rh negative blood type peaks in Basques at 21–36%, drops to less than 10% in non-European Caucasoids, and then drops to less than 1% in Negroids, Mongoloids, and Australoids. The Rh negative blood type is also found in less than 1% of Amerindians, and those Amerindians who do happen to be Rh negative likely have European admixture. The Rh negative blood type was probably originally absent among Amerindians.